With the official announcement that NBC is killing the Jay Leno in prime time “experiment,” I’m reminded of the post I wrote questioning the decision and I can’t help but notice some important lessons we should all learn from it. NBC focused on its needs while ignoring its customer’s needs, then rationalized that what is good for NBC is good for its customers. Had they considered the world from their viewers’ perspective, their affiliates’ perspective or even their advertisers’ perspective they would have made a different decision. NBC kept calling it an experiment and then went all in. As I wrote in my previous post, Jay Leno one, even two days a week, may not have been so bad. Had Jay done well one night, they could have added a second and so on. If they made the change incrementally, a) it would have had a better chance of working, and b) NBC wouldn't be in the bind that they are, with virtually no programming to fill the five hours. I see businesses do this all the time. They allocate critical resources from their core business on “experiments” and end up weaker all around. NBC viewed the world from their competitor’s eyes and were more worried about what they could lose than strengthening what they had. The original move was made more than five years ago, when NBC was worried they’d “lose” Conan O’Brien. They put Leno in prime time, not because it was part of a strengthening strategy, but because, having contractually promised The Tonight Show to O’Brien, NBC was afraid they would “lose” Leno. Strategy and growth are all about making and managing trade-offs. When you try to keep it all, you often times lose it all. I see this happen when businesses keep ineffective employees, especially salespeople, because they’re afraid the person may go to the competition. The entire rationale that was announced was one about managing weakness, as opposed to becoming stronger. 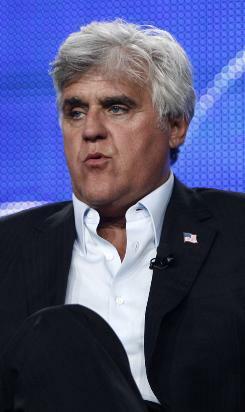 NBC insists that Leno’s performance from a ratings and corporate perspective are what they expected. That even though the ratings are down by more than 30%, the show was still more profitable because it was cheaper to produce. That’s the attitude of a growth business – not! Businesses are acting this way every time they use the recession as a reason to cut or “control,” rather than to become stronger. The only way to get stronger is to focus on growth. So what do you think? How can you apply these lessons to your business?